Hottest day of the year? 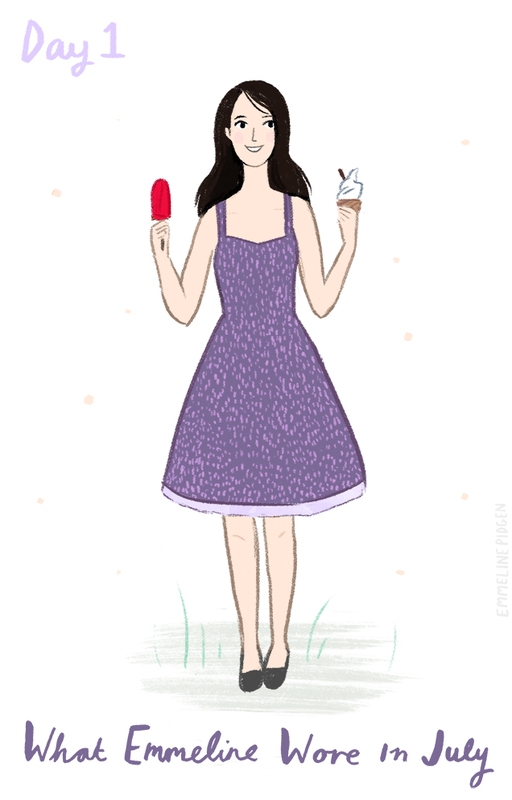 That calls for ice cream AND ice lollies. After a string of comments asking if I would make my 'What I Wore' illustrations into a regular project, I thought it would be a great challenge to illustrate my outfit for each day in July this year. Illustration-a-day challenges are a great way to jump up that learning curve and really hone your skills. After Inktober and Illustrated Advent last year, I realised that they're a brilliant way to stay motivated and productive, even if it is tricky to squeeze in the time! For this self-set challenge, I'm going to be creating an illustration like this for 31 days this month, and linking to some of the statement pieces in the outfits. I have some great brands on board supporting me with this project (Cath Kidson, Clarks, Moheda, Poppy England etc) and I'm really excited. Keep up to date by following 'What I Wore' on my blog, Bloglovin', Google Friend Connect or following me on Twitter or Facebook.